Reading Cafe: I Need Blood Today! 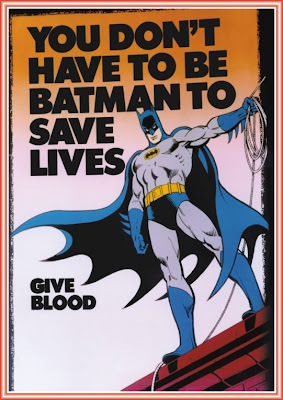 It’s “World Blood Donor Day” today so let’s get down to saving a few lives today! Are you aware that the annual demand for blood is 6 million units per year and only about 3 million units get collected? Or did you know that only 5% of the eligible population volunteers to donate? Did you know that scarcity of blood alone is responsible for the highest mortality rate of victims of accidents or burns, or of patients undergoing heart or organ transplant surgeries, or receiving treatment for cancer, hemophilia and similar afflictions? Many people, it has been found, are afraid to donate blood! Some of them hesitate simply due to fear of the needle and some due to fear of contracting fearful diseases (HIV/Hepatitis) and yet others who fear that it will make them weaker! And there are still majorities who do not donate because they just can’t be bothered. The only time that blood donation becomes a priority for an individual is when he /she is faced with an ‘emergency’ and blood is the only thing that can save a dear one’s life. Donating blood can save lives. One pint of blood that you donate can save four lives! Isn’t that “good returns”? Blood donation needs only 25 minutes of your time and has no effect on the pocket! It can be safely donated every 90 days and each unit you donate is replaced by your body within 24 hrs to a week! (Only healthy individuals need to consider this)! For more information on this topic visit the official site "World Blood Donor Day"